At this point, he is also speaking a foreign language. I love when he said ‘ahbuhji’ (father),’buweyo’ (what?!),’bwah’(why?! i guess) repeatedly…didn’t he speak Korean?? Since that he is at receptive stage, I try to teach him how to say ‘uhmuhni’ (mother). Baru la fair and square kan! Muazzam said Zafran speaks Korean because there is 'somebody' at home 'psyhco' with Korean Drama. I know who is that 'somebody'! When i see Zafran, all my some unhappiness past turned off, the time when i was feeling frazzled, suddenly i become so energetic, so fresh when he smiles at me. 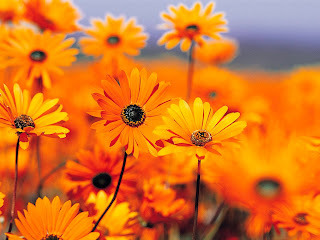 He really spices up my day, colors my life with orange and splashes my world with vanilla scent! What a perfect mixture i have!